Advertising has a bad name, it's often perceived as that one thing which we can't wait to skip or block. But is that all its about? Because if you listen to all the conversation around it, it's end-game advertising!! Well, all is not what meets the eye and while this is a time of extreme change for the advertising industry fueled by a large amount of Flux in the content and media industries.This might be the one time when advertising is growing beyond what anyone can imagine. 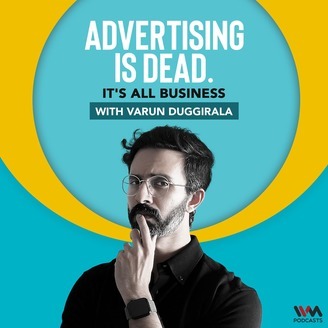 So to dig deeper into this mystery box that is the world of advertising, we are launching a brand new podcast with Varun Duggirala, co-founder and content chief at The Glitch. 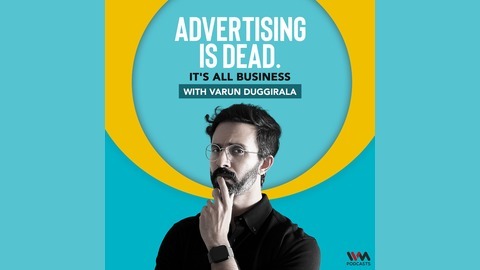 Each week, host Varun will discuss the changes and developments in the business of advertising, branding, content, media and a whole range of issues that exist within the industry. Episodes out every Tuesday, starting 27th November. Pranay Swarup, Co-Founder and CEO of Chtrbox, joins Varun Duggirala this week to dig deep into the space of influencer marketing. They talk about the overuse of the term 'influencers', understanding the authenticity of a creator's content, how Chtrbox contributes to the realm of people-powered marketing, the Fyre Festival fiasco, and a lot more. Do you have any questions for Varun? Tweet to him @dailydement or write in to us at @ivmpodcasts using #AIDAMA. You can also send us an email on shows@indusvox.com.